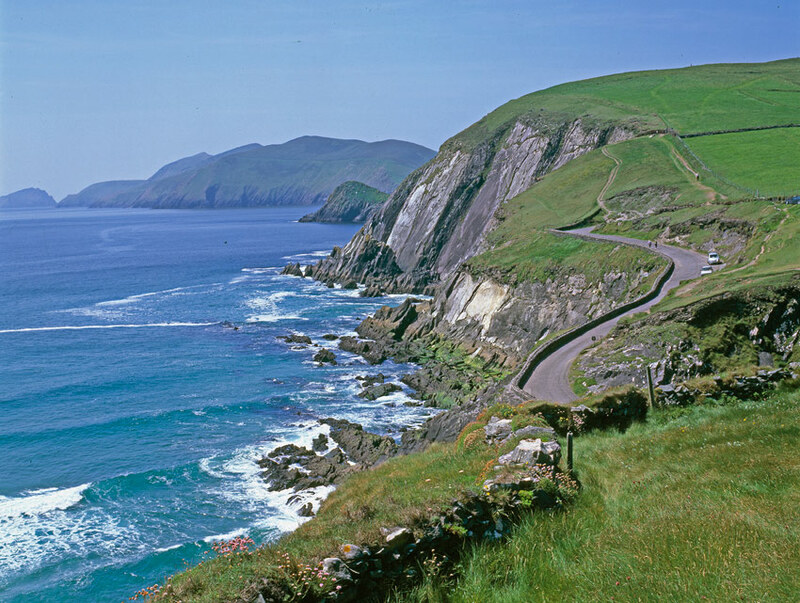 The breathtaking Dingle Peninsula provides a multitude of great days out! 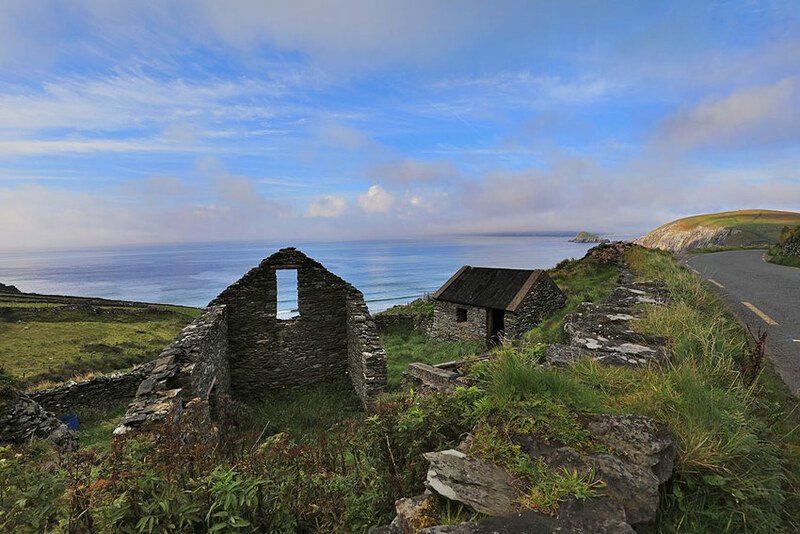 The Dingle Peninsula (Chorca Dhuibhne) is another beautiful part of the Kingdom of Kerry, just waiting to be explored. With the beautiful beaches of Inch and Ventry to the south and the mighty Mount Brandon to the north, the peninsula has a varied landscape. From Killarney, take the N72 Ring of Kerry road until just before the village of Fossa, where the road to Dingle turns right at the Golden Nugget pub and restaurant. From here, follow the R563 towards Milltown, a small market town, and from there through the villages of Castlemaine and Boulteens. 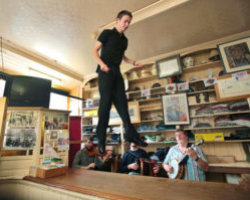 Castlemaine is famed as the birth place of the ‘Wild Colonial Boy’ – Jack Duggan, the infamous Australian outlaw, and is the gateway to the Dingle Peninsula. Pass through the little village of Boulteens and on to Inch Strand, one of Kerry’s Blue Flag beaches. 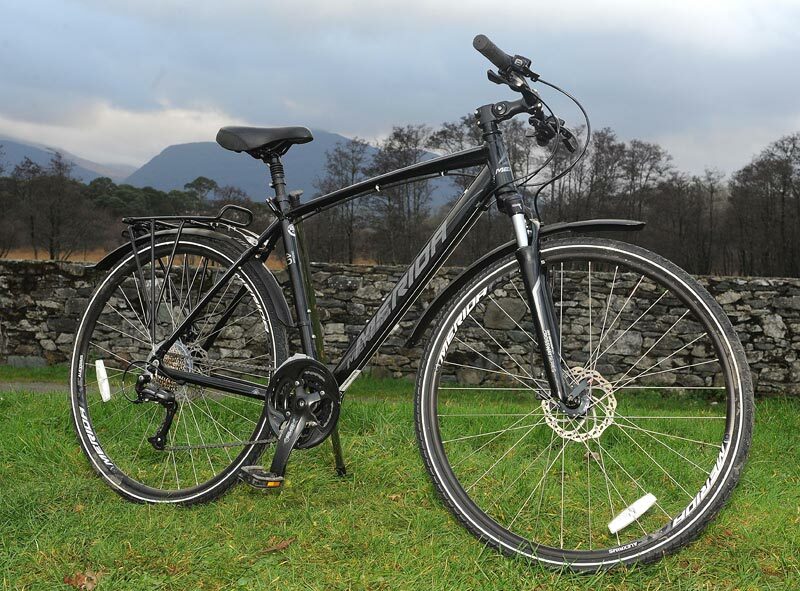 Before reaching Inch, if you’re so inclined, turn off right and cycle through the Sliabh Mish mountains to visit the village of Camp and the north of the Peninsula. 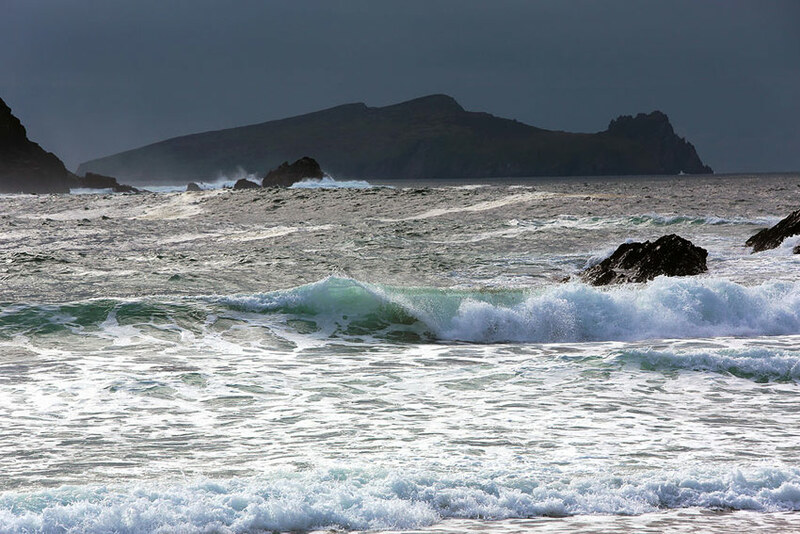 Standing on Inch Strand, you will be treated to an impressive view along both the Iveragh and Dingle Peninsulas, with Sliabh Mish mountains to the north and the McGillycuddy’s reeks to the south east. From Inch, travel towards Lisle and onto Dingle town itself. 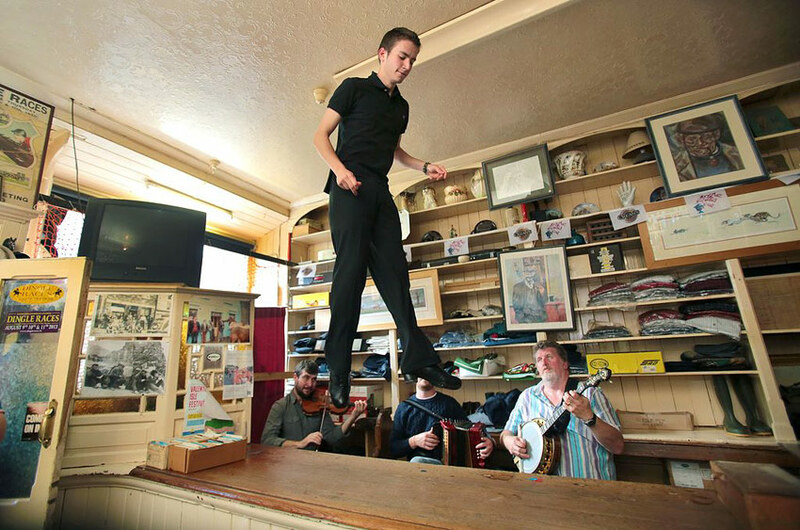 Dingle has an atmosphere all of its own, with great pubs and restaurants, music and craic. 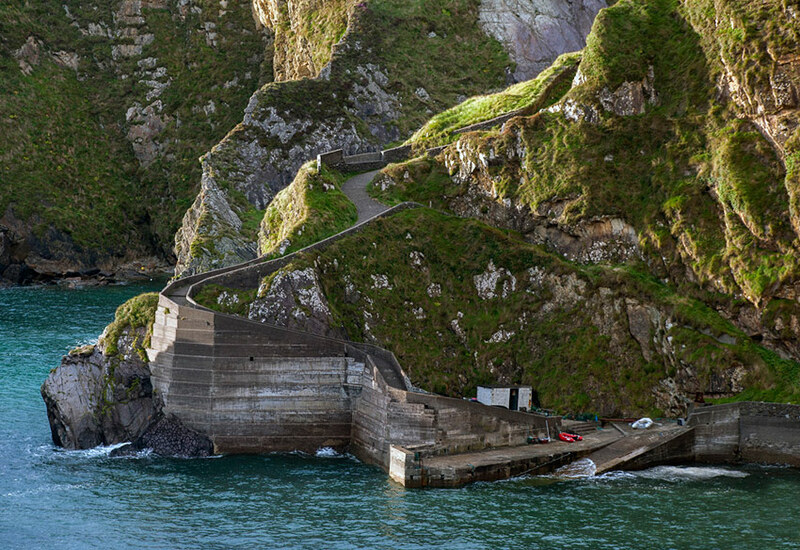 Take a boat out to see dingle’s most famous inhabitant, Fungie the bottlenose Dolphin, or head slightly further afield to the Great Blasket island. From Dingle, the road takes you in all directions – cycle west past Ventry, Dunbeg, Slea Head and Coumeenole beach. North west to Gallerus Oratory or head over the Connor Pass towards the village of Cloghane and Mount Brandon from its eastern side. From Cloghane, visit the northern beaches of Stradbally, Castlegregory and Derrymore before reaching the town of Tralee. 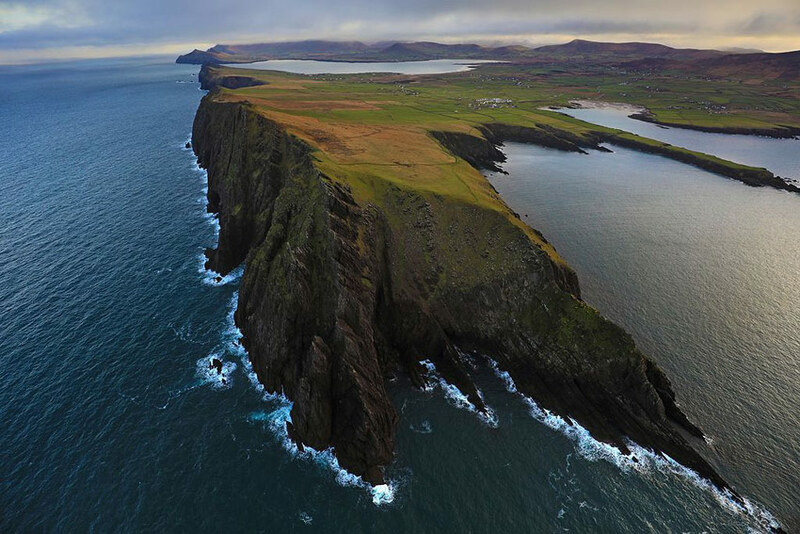 There are 450 Ring Forts (400-1200AD) recorded on the Dingle Peninsula! 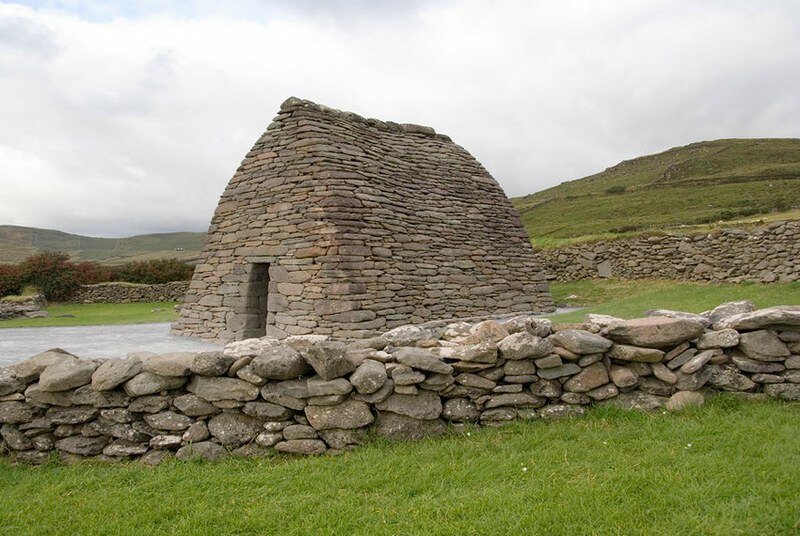 It is 1000 years since monks first prayed at Gallarus Oratory. 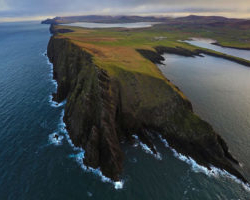 The area of dingle Peninsula (Corca Dhuibhne) is 562 sq kilometres.